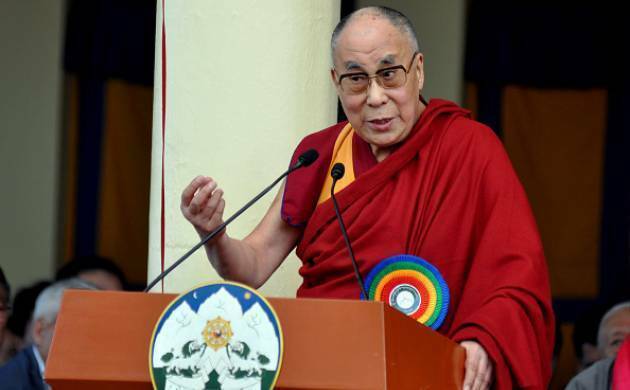 Tibet's exiled spiritual leader the Dalai Lama said on Sunday he was the 'longest guest' of the government of India and has now become a messenger of Indian culture. A file photo of Tibetan spiritual leader Dalai Lama. "I am the longest guest of the government of India for the last 58 years and am now paying back for that gesture by becoming the messenger of Indian culture," he said while delivering a lecture on 'Ancient Indian Knowledge in Modern Times' in Guwahati. "Physically, for the last over 50 years, my body is surviving on Indian 'dal' and 'chapati'. So, physically and mentally I am an Indian". Referring to secularism, he said "I am fully committed to promote communal harmony. It is understandable that there are some mischievous people who cause trouble." He said that the only way to reduce differences and problems was to consider (that) "we are all human beings." Releasing the Assamese version of his autobiography 'My Land and My People' in the same function, he said he was optimistic about a non-violent and peaceful world. "I don't know whether in my lifetime I will see any big change, but I am optimistic. Through education, the next generation will realise and bring compassion and love. The future of humanity depends on humanity itself, not on God," he added. "If Mohammad, Buddha, Mahavir reappear today, then they will ask who created violence? Not God, you created. So it is your responsibility to end violence," he said.